Iʼve been getting out and about to events over the last couple of weeks and itʼs always refreshing to hear new ideas and case studies of companies working to really embed sustainability into their business and their culture. At the same time, itʼs still disappointing to hear in public events like this weekʼs Green Up Film Festival in Brussels that industry is to blame for all our troubles and will only move if confronted by regulation. That may be the case for some - perhaps even many - companies, yet at all these conferences, Iʼm impressed by the progressive companies who are presenting their approaches to sustainability. The communications challenge for the more switched-on companies now is how to educate their consumers, suppliers and greater community. The level of cynicism seen from some participants at this Belgian conference is detrimental to those companies investing and working hard to embrace a more sustainable business model. At Green Up, the Desso carpet company (@Desso_UK) presented on the Cradle to Cradle path it has chosen to take. Desso plans to have all their carpets certiﬁed as Cradle to Cradle by 2020. They see that sustainability makes business sense and even set up a carpet recycling facility to take back other manufacturersʼ carpets after the European industry sector decided not to. Given that carpeting traditionally uses a range of substances, including phthalate-softened PVC, traditional ﬂame retardants, bitumen and latex, Dessoʼs Chairman Stef Kranendijk was very open about the challenges they face between now and 2020. He is convinced however that itʼs the right approach and that the business will be more successful because of it. Interestingly though, the information on Cradle to Cradle on the Desso website is only on the corporate website. We would urge them to start communicating with their customers sooner rather than later about their more sustainable ranges. Consumers have enormous power to select better brands but we need to inform them about their choices. Green recruitment consultancy greenfish (@GreenﬁshEU), which sponsored the ﬁlm festival, told a panel debate that when placing candidates in sustainability-related jobs, whether solar installers, engineers or sales people, the candidates are clearly looking for something more than they had in a ʻnormalʼ job. People want to make a difference. Even if the ﬁnancial rewards or the location seem less attractive than in their previous position, Greenﬁsh Managing Director Laurent-Philippe Ham said candidates want to feel that what they do for a living has meaning. 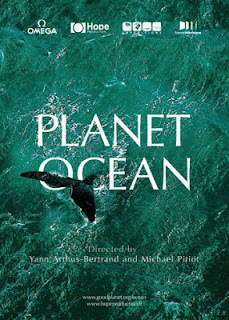 The Green Up Film Festival ﬁnished with a screening of the movie Planète Océane by French photographer and ﬁlm-maker Yann Arthus-Bertrand. Arthus-Bertrand, something of a folk hero in the environment movement, was at the ﬁlm festival in person to introduce his ﬁlm and discuss with the audience. He manages to be both charming and inspiring. And so wonderfully French! The music is beautiful and the images so enchanting, you canʼt believe theyʼre not special effects. What more can I say? If Iʼm not picking up the phone tomorrow, Iʼm probably watching the trailer on YouTube - over and over. 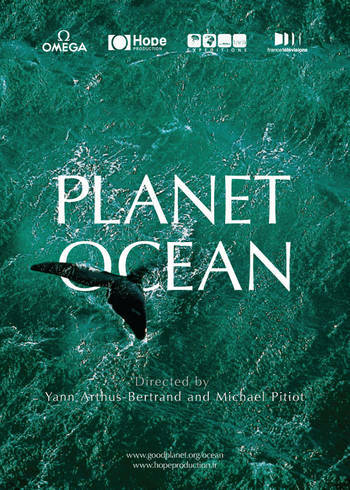 Interestingly, this movie was sponsored by watchmaker Omega, which is partnering with Arthus-Bertrandʼs Goodplanet Foundation. Perhaps they could drop a hint to the Superbowl advertisers. Iʼm sure there are better things they could be doing with those vast advertising budgets.